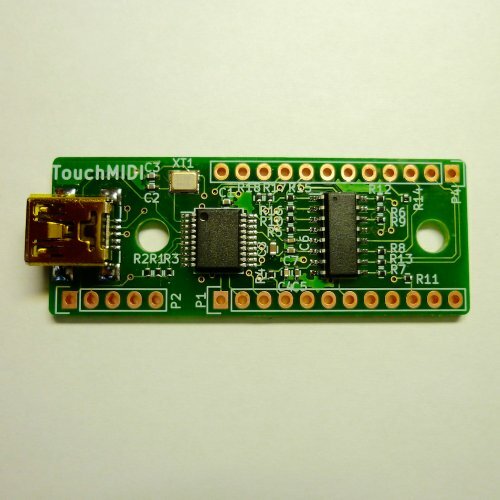 TouchMIDI is a board outputs MIDI via USB when capacitance touch sensors are touched. 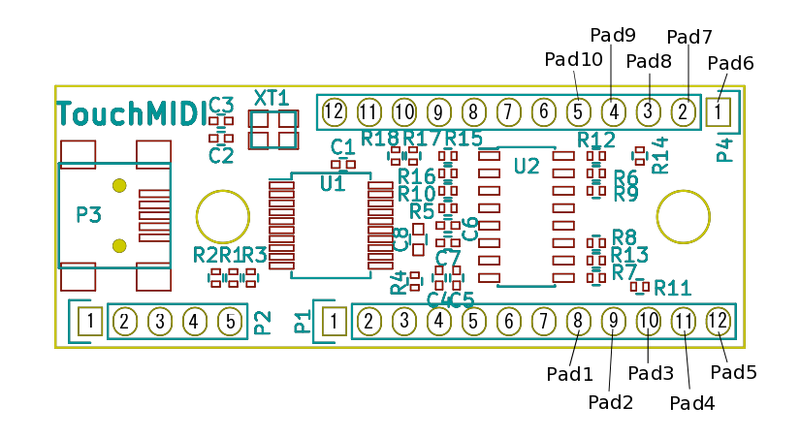 Firmware is already written to this board, so you can utilize it for making your original MIDI controller project only soldering electrodes. let No.8~12 of P1, No.1~5 of P4 be soldered to electrodes. You can realize them easily by using a copper foil tape cut 1 cm square, and soldering cables to those pins. This is a consignment product by Kigakudoh. Please let me know if the shipping problem should occur. We do not advise the technical issue. Please learn on the website, solve the problem yourself.